An entourage ring is a ring with a large center stone surrounded by a row of smaller stones, usually diamonds. The most common method of setting found in an entourage ring is with shared prongs. 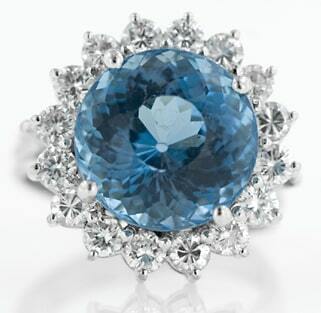 An Entourage Ring Set with Diamonds and Deep Blue Chrysanthemum Cut Topaz.